Until 1824, individual towns within New York State were required to care for their residents who did not have the means to support themselves financially. In 1824, this changed when the legislature passed an act requiring the care of the indigent poor be addressed at the county level. 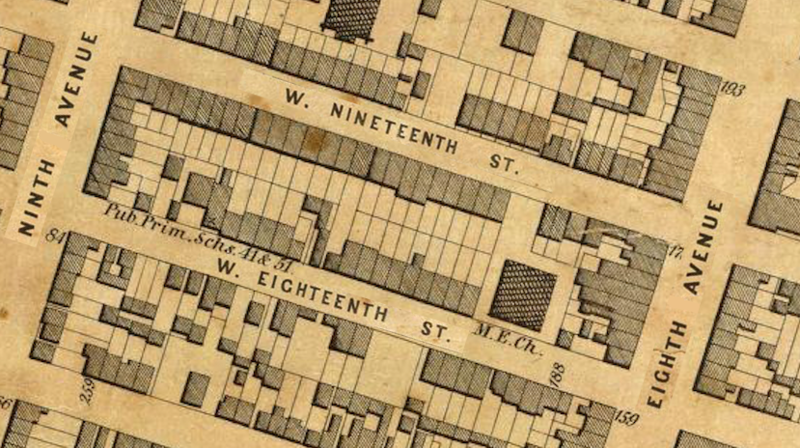 In 1830, the Kings County Board of Supervisors purchased land at Flatbush for erecting a poorhouse, or almshouse, for the indigent of Kings County. By the mid-19th century, this property—known as the County Farm—included the almshouse, as well as a hospital, nursery, and lunatic asylum. 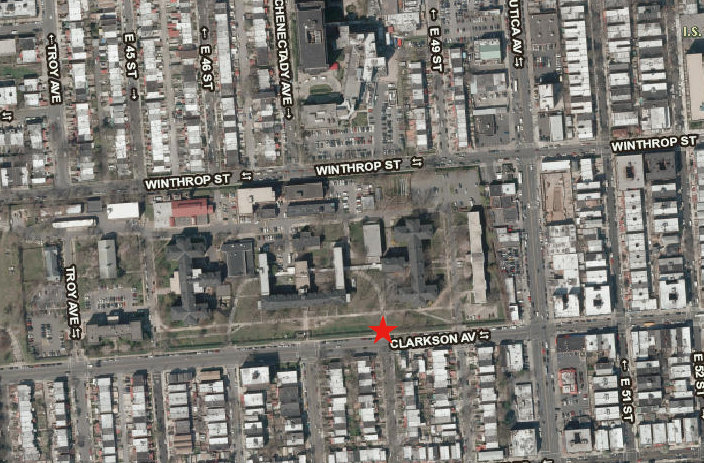 The buildings stood along Clarkson Avenue, facing toward Canarsie Bay. At the east end of the County Farm was the potter’s field. 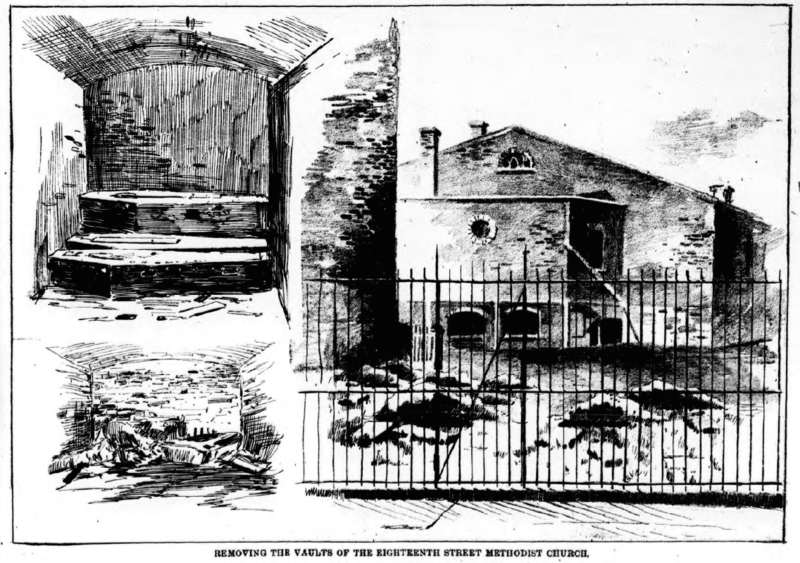 This was the burial place for those dying in the county’s public institutions, as well as those brought from the city of Brooklyn for burial by order of the of Charities Commissioner. 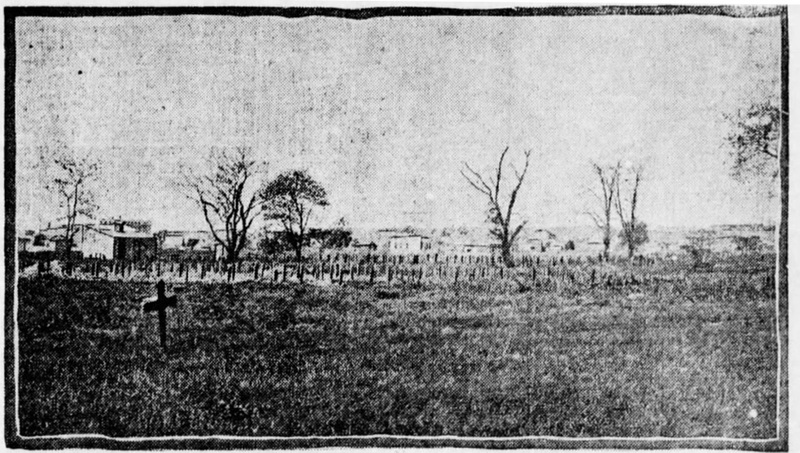 The Kings County cemetery, originally a few acres at the far eastern end of the 67-acre tract, expanded over time, progressing westward so that the cemetery eventually took up the entire eastern section of the County Farm from about East 45th Street to the property boundary near Utica Avenue. In the 1860s there were over 500 annual interments and the original three-acre burial ground was so overcrowded that the Board of Health was called in to investigate complaints that it posed a danger to the health of the community. Their examination “revealed a condition of things which is disgraceful to Kings County and should not and would not have been tolerated up to this time, had it been generally known.” The manner of burial within the cemetery was “of itself sufficiently revolting to necessitate a reform.” Large pits were dug, each about 12 feet square and 12 feet deep, in which coffins were stacked one on top of another, averaging 250 bodies to each pit. Gravediggers—inmates from the almshouse that were assigned to this duty—sprinkled a thin layer of dirt over the coffins as they stacked them, leaving the pit open until it was full—usually taking four to five months—when it was finally covered with about four feet of earth. The only record kept of those buried in each pit was a numbered ticket corresponding with a number on each coffin for all persons 13 years of age and older. No record was kept of children, whose coffins were unnumbered and their remains unidentified. 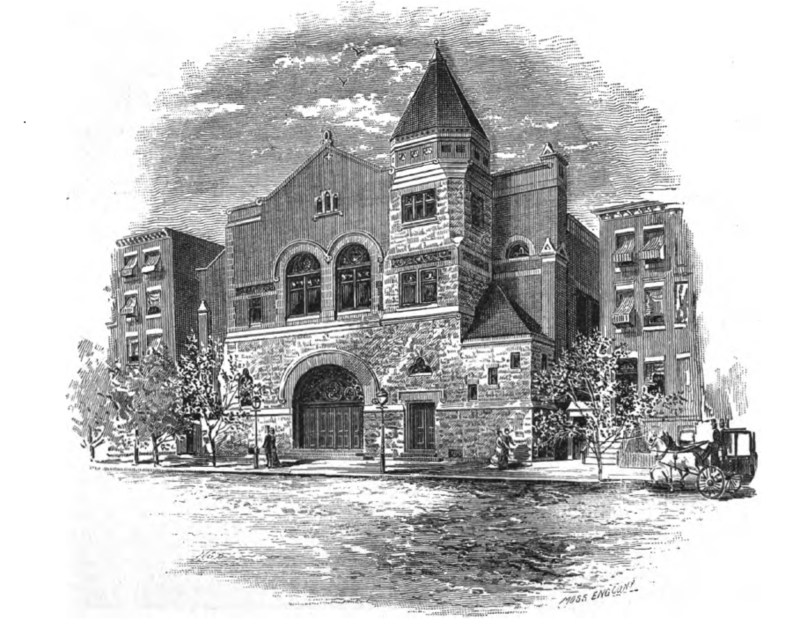 By October 1888, when the above-mentioned Daily Eagle correspondent accompanied the young girl’s body to the King’s County potter’s field to observe her interment, the situation had improved. Pits were no longer used; bodies were buried in graves, each containing three or four bodies, with the top body five feet below the surface. Pine boards were placed above each grave, marked with the numbers of the coffins beneath; each body, including children, had a number to correspond to the burial books kept in the almshouse. In some areas of the graveyard plain white crosses identified the names of those beneath. 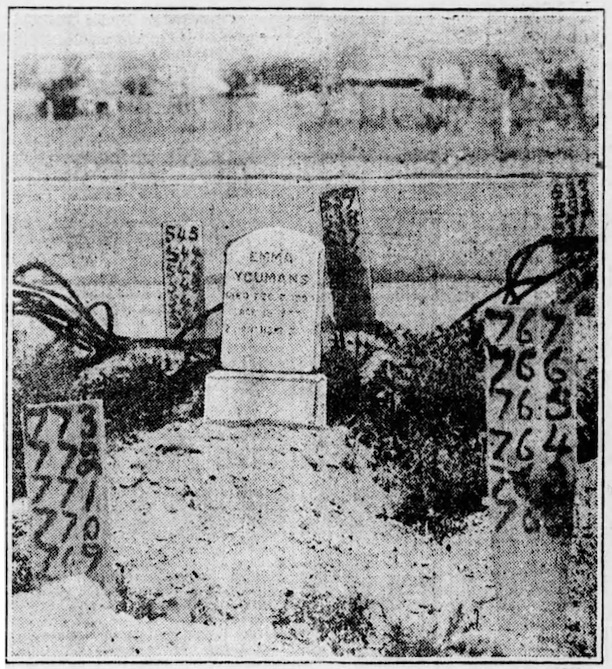 A single marble headstone stood in the cemetery, marking the grave of a child. The Kings County cemetery was used until about 1914 when the state acquired the County Farm and its buildings from the city and the complex became known as Long Island State Hospital. 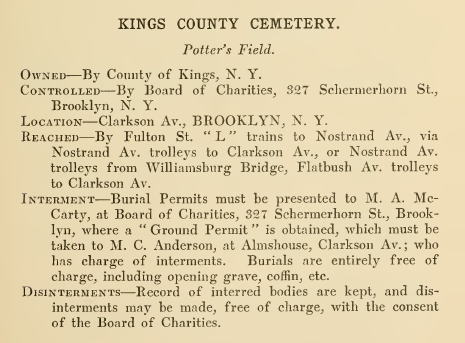 In 1917, the Brooklyn Daily Eagle reported that the remains of the estimated 50,000 individuals interred in the potter’s field were disinterred and removed to a burial ground on North Brother Island; hospital buildings and other structures were built over the site, which is now the Kingsboro Psychiatric Center. In August 2017, construction workers repairing sewers near the grounds of the psychiatric center found human remains about 13 feet underground. The skull, arm and leg bones, unearthed at Clarkson Avenue by East 48th Street, are believed to be from the long-forgotten potter’s field. A 2012 aerial view of the former potter’s field, now the site of the Kingsboro Psychiatric Center. 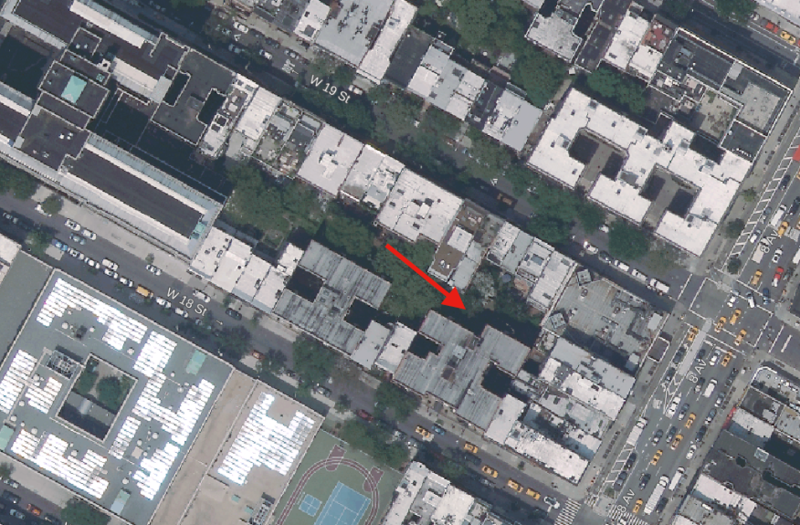 Star denotes the area where bones were unearthed in 2017.